We proudly carry walkers, commodes, nebulizers, compression stockings, ostomy supplies and other hard to find surgical supplies! Heritage Village Pharmacy is proud to carry a large variety of vitamins and minerals, as well as herbal supplements and natural remedies. Heritage Village Pharmacy is a locally-owned and operated, full-service, independent retail pharmacy that serves the Southbury community, as well as the greater New Haven County area. 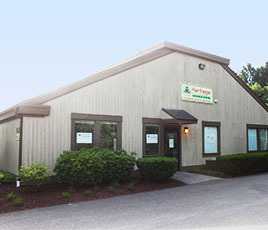 Heritage Village Pharmacy is conveniently located at 493 Heritage Road in Southbury, Connecticut, right within the premises of Heritage Village, next to the TD Bank. The pharmacy offers a wide range of services including free pick-up and delivery of prescriptions, unit dose delivery through blister packs and weekly planners, medication counseling with the pharmacist, immunizations and much more. The pharmacy also carries a large variety of diabetic supplies, durable medical equipment (such as canes and walkers), and even liquid nutrition formula products. Furthermore, they are equipped to bill Medicare and Medicaid for certain managed care services such as nebulizers, diapers, bed pads, etc. We offer customized blister packing services, as well as pre-filling your weekly pill boxes and other planners, all for free! We have immunization certified pharmacists ready to administer the vaccines you need to be your healthiest self, ask a pharmacist today for a free consultation!